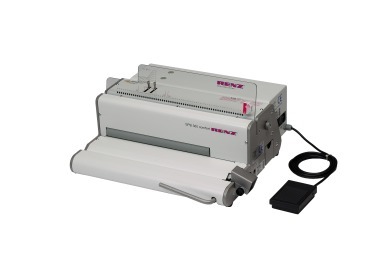 The Renz SPB 360 comfort fully electric plastic coil binder is an all-in-one machine for plastic spiral binding. Plastic coil binding is attractive, colourful and very tough! Renz SPB 360 plastic coil binding machine has effortless electric punch, electric roller coil inserter and integral cutting/crimping unit.